Marketing is a minefield of evolution right now with new and exciting strategy bursts happening everywhere every day. With digital marketing taking the lead on the list of most powerful marketing tools over the past several years every business from startups to multinational conglomerates have started investing in digital marketing more and more. If you are a startup, investing in digital marketing can be the most cost and time effective as well as impactful marketing strategy for you. But, it’s important to know what the right and wrong strategies are to get good results. 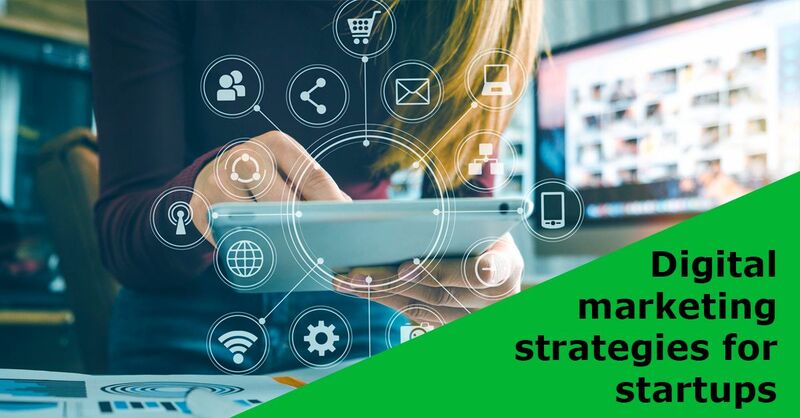 Here are some of the most profitable digital marketing strategies that will help your startup boost sales for your business. If you want to make the most of your email marketing read up on these methods to follow and optimise on. This is hands down one of the most powerful marketing tools today, which is also why competition is so high. Everybody uses it so how can you stand out? Remember that you are a startup and your social media marketing should be powerful enough to create a brand identity for you. If you need help, here’s what Forbes has to say about making the most of content marketing on your social media. PPC or Pay-per-click marketing is one of the most effective methods of online marketing for startups around. It generates sales-ready leads and ensures that you will only pay for traffic that will actually convert to sales on your site. What are the advantages you get out of PPC? But, you also need to make sure that you don’t make these PPC mistakes if you want to make sure you don’t lose out on the benefits. Is a website that looks great all that you need to drive traffic? Just think about it. There are thousands of websites that are in the same niche as you are. Therefore, how will your website be the one that pops up on top of the list when customers search for the keywords that are relevant to your business? SEO or Search Engine Optimisation is your solution. Not only will it drive more traffic but it will also build the trust that customers have for your brand. The higher the rank that your site shows up on the search results list, the more positive the impression that customers will have about you as a reliable company. In fact, SEO is a must have digital marketing strategy for startups. If you want to make the most of your SEO you will also have to follow the best practices of SEO. Find out what these are and get started on your SEO strategy. Have you heard about Voice Search? Google says that 1 out of 5 searches right now are done through voice search. Forbes says that a full-fledged voice search revolution is on its way. Why? Because almost 60% of users today use a virtual assistant like Siri on Apple or Alexa on Amazon. It’s really much easier to talk than to type and that is why this is a rising trend in 2018. This means that as a startup, you need to think about implementing voice search into your SEO strategies and you should definitely give it as much importance as you give your Facebook marketing strategies or your Instagram marketing strategies. Try to use long-tail keywords that are focused on spoken language. In simple terms use keywords that would be written in the same way that you would say it. 2018 and the next several years to come are going to introduce many new and giant changes in the world of digital marketing. This is all the more reason why you should know about these trends when you build up your strategies today. Keeping up with all this can seem a little overwhelming, especially when you are running your own business right? That’s where we can help you out. But why learn digital marketing? Besides, with all the new marketing tools and techniques coming into the market, keeping yourself educated and updated is pretty much the best way to make sure that your competition doesn’t leave you behind. 0 responses on "Digital Marketing Strategies for Startups"